Kowareyasuki (コワレヤスキ lit. 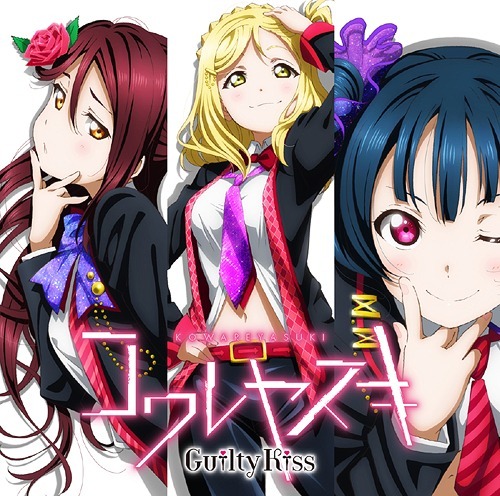 Fragilove) is the second single sung by Guilty Kiss, a sub-unit under Aqours. The group consists of Sakurauchi Riko, Tsushima Yoshiko, and Ohara Mari. The song is written by Hata Aki, composed and arranged by Saeki Takashi.